CHEER FOR YOUR FAVORITES : Audiences are encouraged to applaud during the lively and spirited shows. 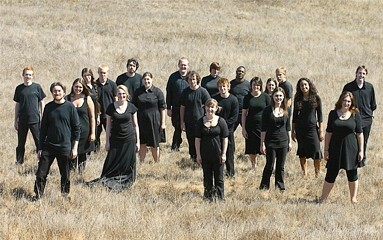 The Cuesta Chamber Singers are pictured. But it’s not a cutthroat weekend, even though it is a competition. Almost everyone has had the enviable pleasure of being moved during a live musical performance. Certain music and musical styles simply possess ingredients that stick to your ribs. The California International Choral Festival and Competition has all of those elements and more, a biennial event taking place over three days starting June 26 at Cal Poly’s Performing Arts Center in San Luis Obispo. The Choral Festival and Competition was the brainchild of the Vocal Arts Ensemble. But actually bringing this sort of competition to SLO required the vision of Gary Lamprecht, the event’s artistic director, to make it happen. “Our experiences in making music at festivals around the world have been awe-inspiring and we have dreamt for a long time of bringing this kind of festival to San Luis Obispo,” said Lamprecht. Lamprecht is no stranger to hard work; in SLO he has a built-in audience for choral music, since he founded the San Luis Obispo Vocal Arts Ensemble more than 30 years ago. Having spent the last two years planning the second festival, he is excited about every aspect, but especially the worldly quality of the music. Lamprecht appreciates the warmth generated by many nations singing in competition, and together, at the Choral Festival and Competition. There is a monetary prize for the top winner, but really the choirs are competing for name recognition, for fulfillment and joy, and to be surrounded by other passionate and talented vocalists. 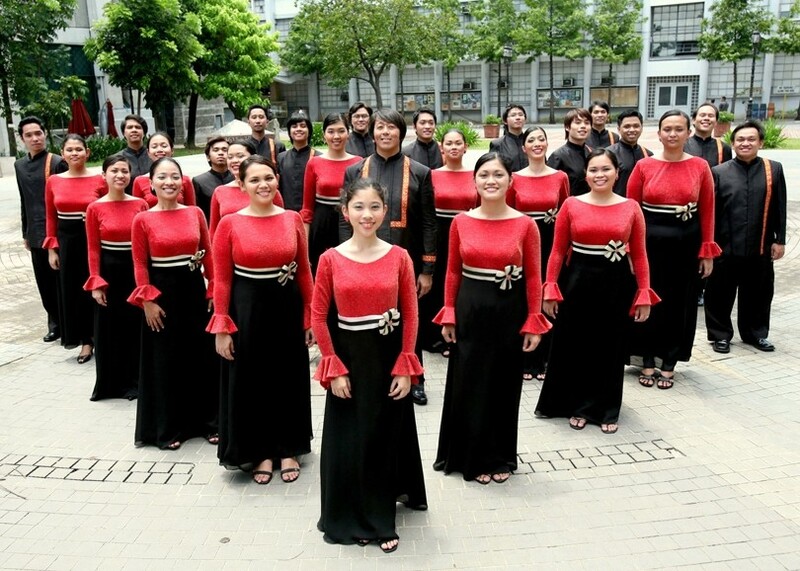 MAGNIFICAT : The Philippine Choir, which has sung for the pope, is one of the competing vocal ensembles. More than 200 choirs sent audition tapes and CDs, and three judges chose a select few based on the quality of music. Harris says there are other international choral festivals in the U.S. but none that combine a festival and competition. The festival brings choirs together to sing and compete in a choral Olympics. Choirs from Saudi Arabia, Macedonia, the Philippines, the Republic of Congo, Fullerton College in California, and SLO’s very own Cuesta College with ages ranging from teenagers to people in their 70s are among the participants. The Saudi choir is actually made up of Filipino men, who come from all walks of life, sing a cappella, and have won numerous awards, including a bronze medal in the World Choir Games in China. The Cuesta Chamber Singers have toured worldwide, their Bach and Rutter resonating with audiences and resulting in standing ovations. DO, RE, MI, FA, SO, LA, TI, DO! : The California International Choral Festival and Competition, the only one of its kind in the U.S., is hosted by the Vocal Arts Ensemble of San Luis Obispo and takes place June 26-28. The event features international and national choirs vying for awards, prizes, and accolades at the PAC in SLO. There is a welcome concert, required pieces competition, folk song competition, choir’s choice competition and the grand finale. All concerts are $20, except for the required pieces concert, which is free. Info, schedules, and tickets: californiachoral.org, 440-6050 or 756-2787. The festival begins at Farmers Market on Thursday night with an informal event where choral members sing “light” numbers as they wander around downtown, starting at around 6:30 p.m. The Welcome Concert follows on Friday and includes a concert at the PAC where each choir brings their country’s flag for a dramatic presentation. During the required pieces competition (a free show), each choir will sing the same song. Six choirs singing two songs over and over sounds like it might be a little redundant, but it isn’t, according to Harris. “It’s quite interesting because you can hear the different treatments of the same song,” she explained. The folk song competition showcases folk music from each of the choirs’ native lands, and takes place on June 27 at 8 p.m. This is a fun, loose offering allowing the choirs to wear their national costumes, and may include choreography. In 2007 one choir even staged a mock folk wedding. Musical instruments are also a part of this mostly non-instrumental festival, but have to be native. Every other concert is in an a cappella format. For the Sunday afternoon exhibition, each group has 12 minutes to sing any combination of songs, but time is of the essence, because if they exceed their allotted time they will lose points. During the grand finale on Sunday night, awards and prizes will be handed out, and everybody joins together to sing “All Breathing Life” by Bach, “Ave Maria” by Lauridsen (the two required pieces), and “This is My Song” from Finlandia by Sibelius. Christy Heron has cried at mass. Pass her a hanky at cheron@newtimesslo.com.